Oschman & Oschman, 2015. 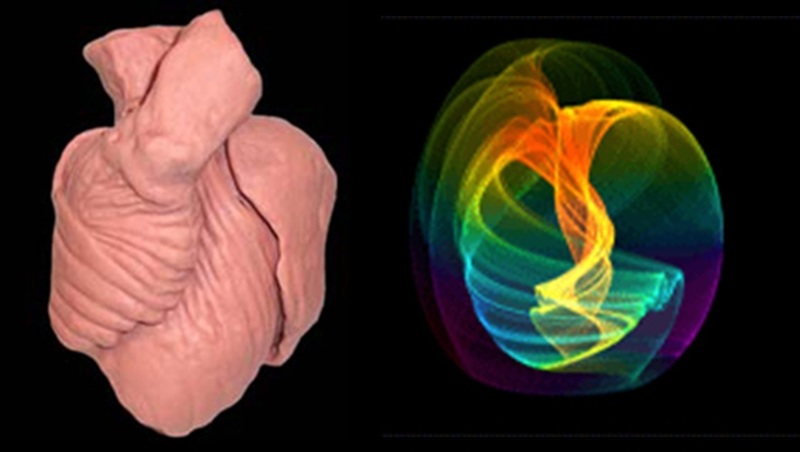 Vortical Structure of Light and Space: Biological Implications. Journal of Vortex Science and Technology 2:1. Be sure to see Fields of Color: The theory that escaped Einstein, by Rodney A. Brooks. It explains Quantum Field Theory to a lay audience without equations. It shows how this overlooked and misunderstood theory resolves the weirdness of Quantum Mechanics and the paradoxes of Relativity. James L. Oschman Ph, D.
In the past few decades, the vacuum has found increasing acknowledgement as the central fundamental entity on which the physical description of reality must be based. According to some physicists, it may even become the very foundation of the next era of the physical world picture. We present an overview of the historical development of the concept of the vacuum in physics and show that there are two main stages in this development corresponding to two qualitatively different aspects of the vacuum, the static pre-quantum aspect of microscopic quantum fluctuations, and the geometric-topological aspect related to macroscopic coherent phenomena. We hope to make clear that there is significantly more to the quantum vacuum than just the electromagnetic vacuum (the zero-point fluctuations). Further chapters are devoted to showing the significance of the vacuum to quantum biology and biophysics, especially biophoton research, and to the concept of a superfluid vacuum as ultimate foundation of the vacuum and its significance in biology and biophoton research. The need for assuming a pre-physical dimension of potentiality for the understanding of organisms, and for the creation of the new discipline of vacuum biophysics as a basis of biophysical understanding is postulated. The authors maintain that the essential ingredient and foundation of a holistic quantum biophysics must be the vacuum. The fundamental quantum mechanical nature of biological phenomena will only be fully understood if the vacuum is taken into full and explicit consideration as the essence and ground of these phenomena. The quantum vacuum may serve as a framework for a unification program in biology aimed at incorporating all relevant aspects of life into a physical picture of the organism. Particularly, the understanding of the function and mechanisms of electromagnetic fields, and particularly biophotons, in living organisms may greatly profit from the acknowledgement of the essential role of the topology of the vacuum.The paper is concluded by a chapter on the possible relation between the topology of the vacuum and the morphological development and evolution in biology, and finally by some remarks on the role of the observer and of consciousness in quantum mechanics. Paper read at the 3rd International Hombroich Symposium on Biophysics, International Institute of Biophysics (IIB), Neuss, Germany, 21th to 24th August, 1998.